Calculation of the sales price based on the valid price list in Euro. Calculation of the sales price based on a fixed conversion formula, or a configured fixed price according to the general price list function. Conversion rule: basic price x defined conversion value. 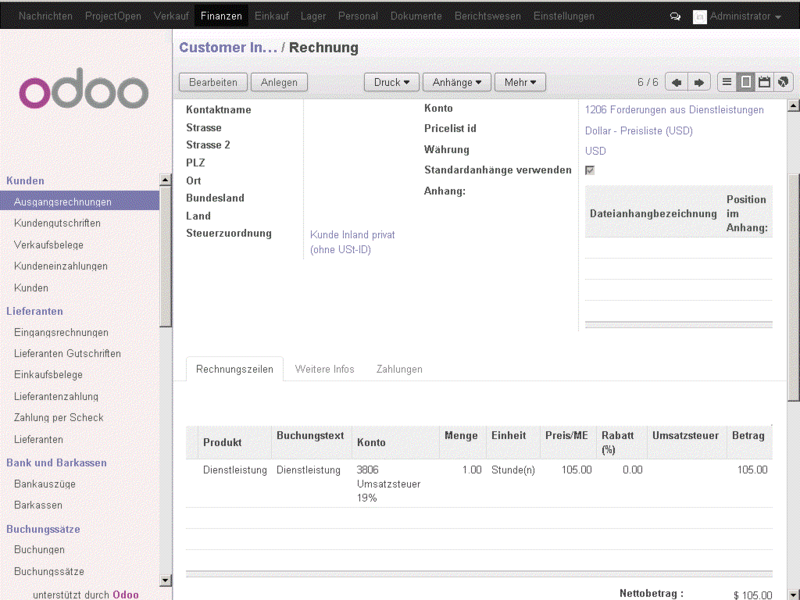 The daily exchange rates from the standard functionality of Odoo are not considered with this App. Besides the standard functionality this module gives you the possibility to have consistent prices in international business. Due to this functionality, unsteady daily exchange rates do not affect your sales price of the product. View of the configuration option for the price list functionality and exchange conversion.